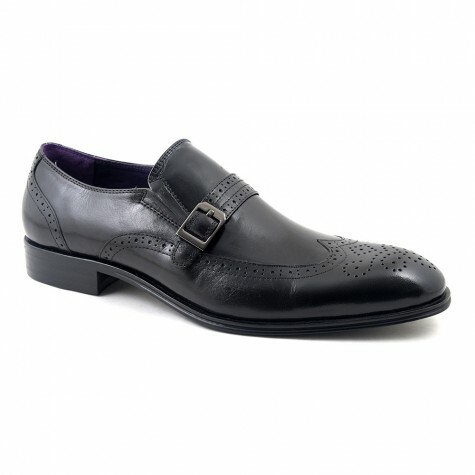 A waxed black leather formal shoe which has wing tip and brogue detail to the toe. There is a strap across the throat with a buckle. 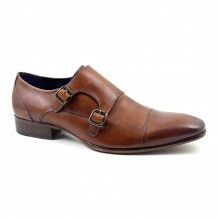 It is a characterful addition to your wardrobe. 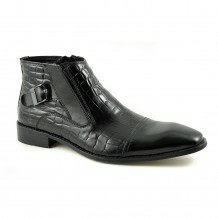 A black buckle slip-on mens shoe which is formal enough to wear to work yet has tons of personality. A hybrid of brogue and monk strap, this mens shoe is on the right side of formal to enable you to wear it with formal attire but is on the right side of cool to wear with jeans. Versatile is a good description. The toe has a wing tip and medallion detail as well as other broguing. These holes are purely aesthetic now but they evoke a very vintage feel as they were originally required to rid shoes of water. So they have been around for a very long time but have morphed from a walking shoe to a formal shoe and traverse the casual and formal world rather well. 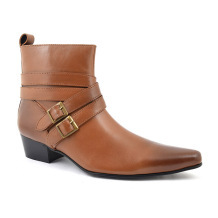 The buckle strap has elements of monk strap and this also has a history of being practical. Monks needed a shoe that was easy to slip on and off so this buckle was inserted to facilitate that. Fast forward to today and monk straps are a favourite slip-on shoe of men with distinctive style and bundles of originality. This black monk strap brogue is such an easy shoe to wear, one can see it with a suit but it can be easily worn with a pair of jeans. Dare we say it, socks or no socks? Whichever, we think you will make these black buckle slip-on shoes work in your own unique way. We will say that a little care will go a long way so do polish them on occasion and put in a shoe tree for good measure (or even stuff them with paper!). This will help the shape and the smells dissipate. 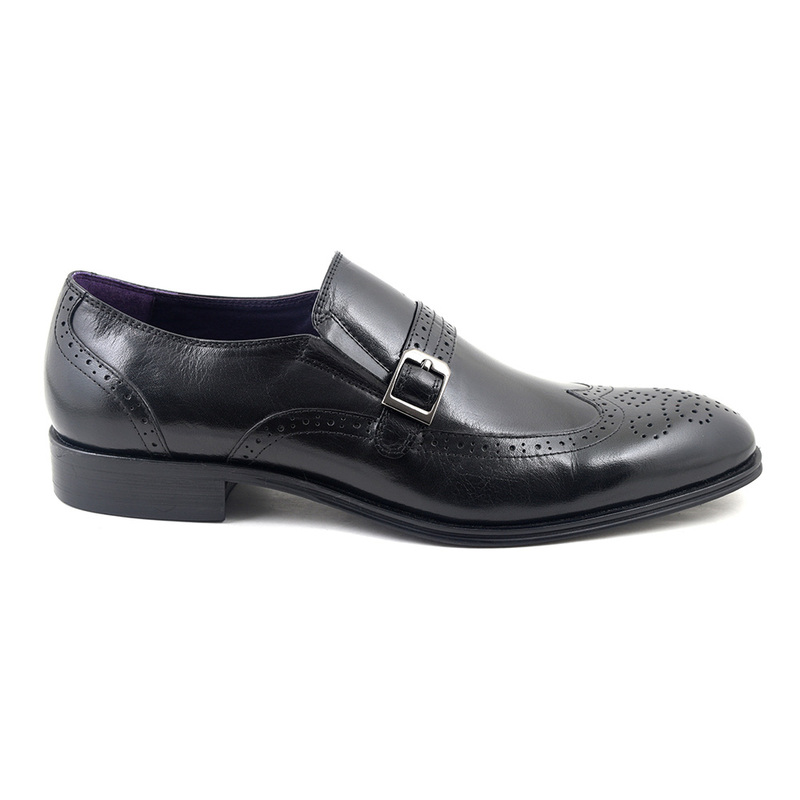 Work or play, these black brogue monk straps will work very very hard for you. Be the first to review “Maoro Black Buckle Slip-On” Click here to cancel reply.